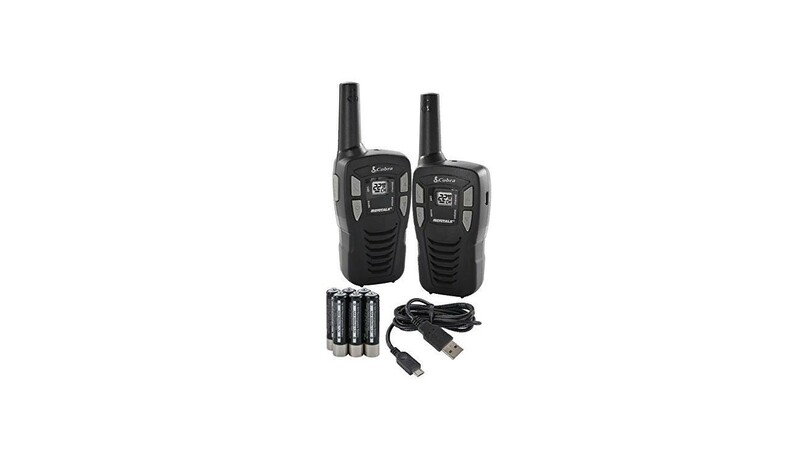 These pair of radios also include rechargeable batteries and a micro-USB charging cable. Roger beep confirmation tone indicates to others it's clear to talk. Power saver circuitry extends battery life when not transmitting or receiving. Call alert provides a recognizable alert for incoming calls. This radio is an affordable and compact option for everyone from the novice to the professional radio enthusiast! Up to 16-mile range - Compact design with extended range. 10 channel weather radios - Be prepared for storms and emergencies with built-in weather radio receiver. May also be used with AAA alkaline batteries. Front panel push buttons provide easy access to all 22 channels (7 GMRS/FRS, 7 FRS, 8 GMRS). 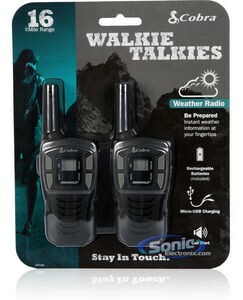 Works with other GMRS/FRS walkie-talkie 2-way radios. Be prepared for storms and emergencies with the built-in weather radio receiver providing coverage of all government operated weather channels. A unique circuit extends the life of the batteries. If there are no transmissions within 10 seconds, the unit will automatically switch to battery saver mode. Provides an easily recognizable alert for incoming calls. Confirmation tone indicates the completion of the user’s transmission, and signals to others it is clear to talk. Automatically shuts off weak transmissions or unwanted noise due to terrain or range constraints. Easy to view display provides the radio’s status at a glance. Allows use of wall charger, or earphone speaker/microphones (not included) for “hands-free” operation. Secures your microTALK® radio while on the go. Radios can also be used with 3 AAA alkaline batteries per radio (not included). 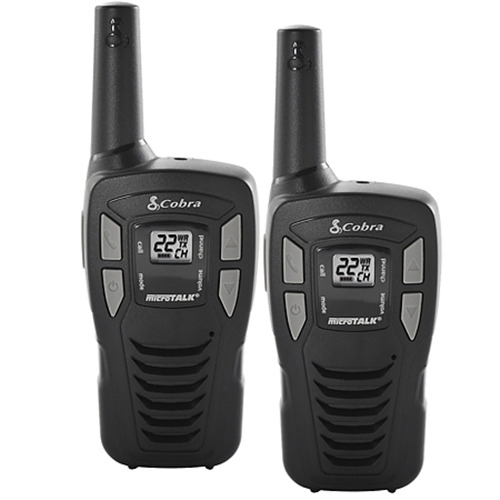 What's in the box: Cobra CXT145 2-Way Radio, AAA batteries (6 pieces), Micro-USB Cable. NOTE: The Rechargeable batteries are not included.